We’d love your help. 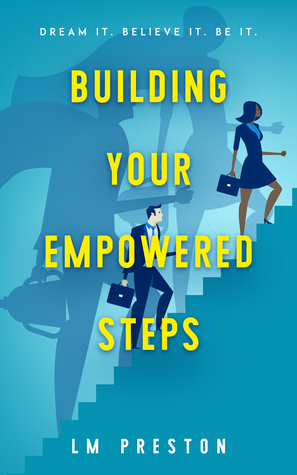 Let us know what’s wrong with this preview of Building Your Empowered Steps by L.M. Preston. To ask other readers questions about Building Your Empowered Steps, please sign up. The synopsis its self doesn't give a whole lot away about what you will get. You can kind of surmise that you will have some kind of Motivational guide to life and that really is what the author manages to provide the reader. I love the fact that its a step by step guide. You don't have to go into it thinking you'll pick and choose what you want to use from her words. For me this guide helped me realize some things I had really pushed aside that I had wanted to accomplish at one time in life, but The synopsis its self doesn't give a whole lot away about what you will get. You can kind of surmise that you will have some kind of Motivational guide to life and that really is what the author manages to provide the reader. Empowered Steps is a practical guide for taking responsibility for your own future goals and happiness. We've all read about positive thinking and writing down our goals, even making a vision board. This brief read takes these ideas and more and sets them into an actionable framework. With specific tools and points about perspective and self evaluation based on your own beliefs and values, this book encourages research and small steps in the direction you choose to grow. Be responsible, accountab Empowered Steps is a practical guide for taking responsibility for your own future goals and happiness. We've all read about positive thinking and writing down our goals, even making a vision board. This brief read takes these ideas and more and sets them into an actionable framework. Be responsible, accountable and create new daily habits. As most, I have personal goals I want to achieve. It was my hope that I could learn something from an accomplished woman who followed her own advice. The author's conversational tone made for an easy read. While the steps are not unique, and at times a bit exaggerated, it was the author's perspective that drew me in. I recommend this book to women who are looking for a different slant on affirmation and vision boards.